We invite you to visit our business Facebook page for our most recent news and announcements. Thora Pollak interviewed by USDF Connection Magazine! 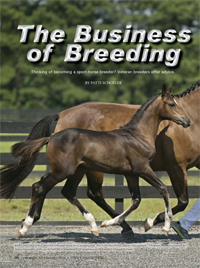 Thora was interviewed for the article "The Business of Breeding (Advice from successful breeders)". 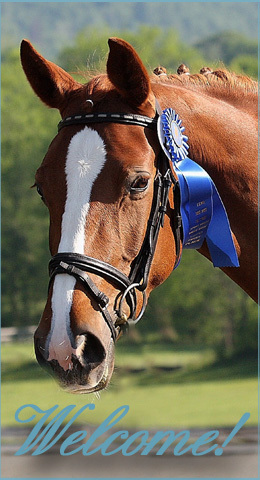 The article, by Patti Schohfler, was featured in the December 2013/January 2014 USDF Connection Magazine. The article is copyrighted by the United States Dressage Federation and reprinted by permission of the USDF - www.usdf.org. 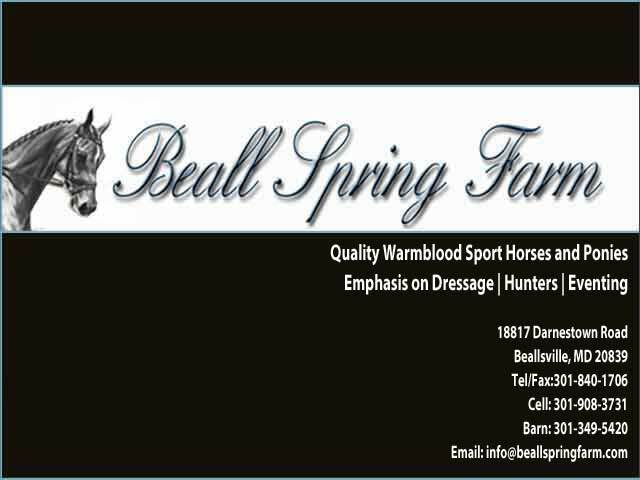 Beall Spring Farm featured in The Chronicle!